Please welcome another new sponsor of mine, Savannah from Maie Dae. 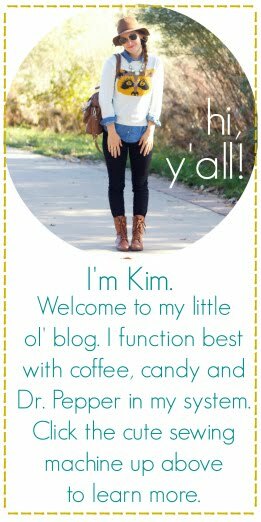 She has a wonderful blog that involves design, inspiration, and behind the scenes info of her shop. Speaking of her shop, it is full of hip, gorgeous, and colorful accessories! The colors she uses in her shop make me melt. Really, I'd wear everything in her shop. She also just started making these personalized necklaces that are so unique & romantic. I've mentioned these statement necklaces before on a Favorite Things Friday post. They're just too pretty! They also double as a headband. Jackpot. Today, Savannah is offering one of you lovely people this fun headband! Visit MaieDae's shop & tell me your favorite item. 1. Follow MaieDae AND Oh, Sweet Joy on twitter. 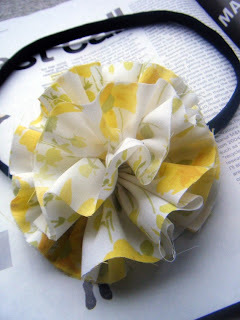 "i just entered to win a cute @maiedae headband on @ohsweetjoy's blog! www.yellowsongbird.blogspot.com"
I love the fairytale bib necklace! I <3 the San Diego headband! I love the vintage floral necklace. And I follow this blog. 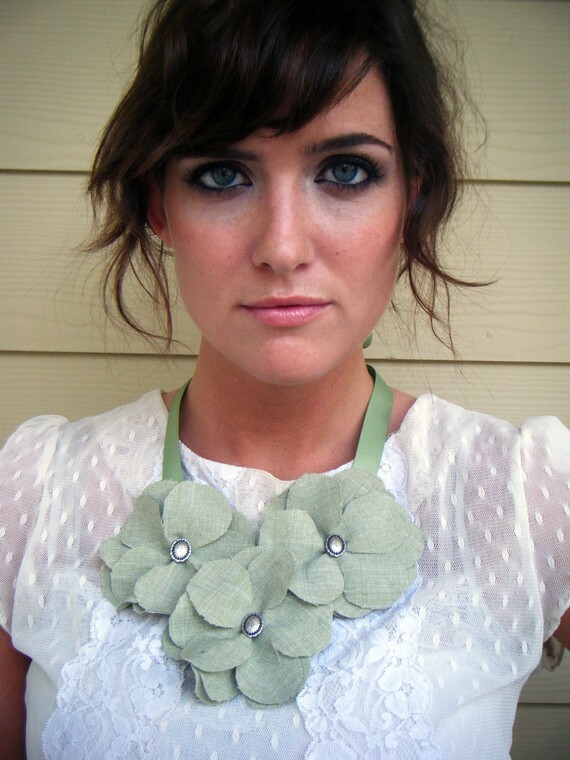 in love with the mustard tulip headband or the fairy tale bib necklace in pistachio! I LOVE the things past necklace! SO pretty!! My favorite piece is the my darling and I personalized necklace! I definetly already follow Maiedae on twitter! It's absolutely impossible for me to pick a favorite! But, a couple that I really like are the rosette headband in Papaya and the rosette pony tail holder. SO CUTE! The things past necklace is to die for! I just ADORE her shoppe!!!! She has so many cute necklaces and hair magic but I think my favorite is the fairytale bib necklace pistachio. It is just SO beautiful!! I follow your beautiful blog!!!! My favorite item is the "Into the Woods" headband in mustard! I now follow you through google friend connect too! i love the Things Past Necklace - Cider! I really love the whipped cream bow sweet bow! It's adorable. My favorite has to be the Things Past Necklace in Cider, beautiful work! i love love love the tulip headband in mustard! i follow both of your on twitter! i follow your blog...and love it! Oh my goodness!! I just discovered her shop yesterday and that yellow headband went on my "must-have" list!!! I really love the Into the Woods headband - Charcoal. So pretty! I love the Into the Woods headband! It's so whimsical! I follow MaieDae AND Oh, Sweet Joy on twitter. Love your blog! And I tweeted and already follow you on Twitter and Friend Connect! Have a beautiful day! you have the best giveaways, kim! can't even wait to see what else is in store! I love the Bouquet Fabric Flower Clip - Whipped Cream. i love the things past necklace! I love the windy city headband in latte foam... not that it would look anywhere nearly as cool on me as her... she's got some amazing hair! I follow ya'll on twitter. so fun!!! i think the mustard tulip headband is my fav!!! i love the my darling and i necklace. so much!! I love her shop! My favorite is the cider necklace! So lovely! AND of course I follow ohsweetjoy on GFC! Woot! Um pass the mustard please...the into the woods headband in mustard is my fav. I follow, that is the same as GFC right? 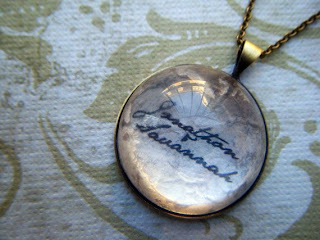 I would have to say that my favorite item is the personalized my darling and I necklace. I love the vintage look of it! So cute! I also love all the flowers that she has for necklaces and headbands! i'm loving the "into the woods headband". darling.